Merit scholarships can be one of the best ways to make college affordable, especially if your family will not qualify for need-based aid. 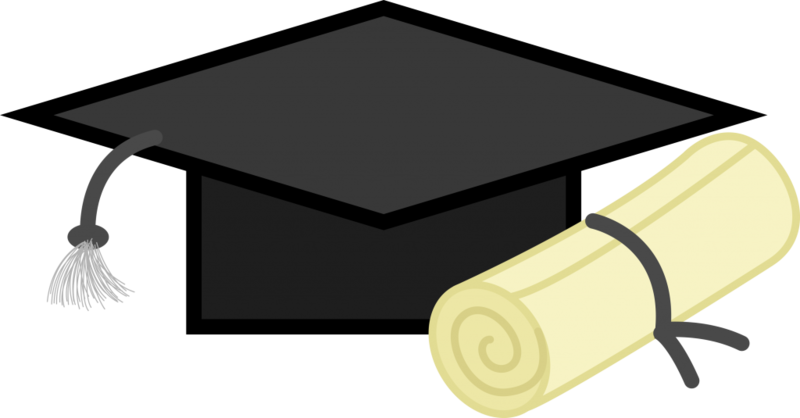 It is important to know the different types and sources of merit scholarships available. Just to be clear, a merit scholarship is “free” money offered based on something other than financial need. These scholarships are based on some type of “merit” a student has. “Merit” really refers to a student’s qualities or statistics and can be a combination of several things. I will talk about this more under the types of merit scholarships. First, let’s start with the sources. There are 3 main sources for merit scholarships – colleges, state programs and private sources. Let’s walk through each one. Colleges – The majority of merit scholarships come directly from colleges. Colleges offer these scholarships to attract students, especially top students. Colleges offer merit scholarships in amounts ranging from hundreds of dollars up to the full cost of college plus extras. Most colleges disclose these merit scholarship opportunities on their websites, although sometimes the amounts are not disclosed. Colleges offer several different types of merit scholarships. Refer to the “types” section below for more details. There are some colleges that do not offer any merit scholarships. I keep a listing of these and it currently contains 37 colleges. This would include all Ivy League colleges, plus other schools primarily among the top rated and most selective colleges in the U.S. You can check the list here: Colleges That Do Not Offer Merit Aid. States – Many states have a variety of merit scholarship programs. These often use state lottery proceeds to fund college scholarships. Some of the largest and most known are: Big Futures (FL) granting up to full tuition, HOPE and Zel Miller Scholarships (GA), New Mexico Scholars Program offering full tuition, books and fees to NM in-state colleges for top NM students, the Massachusetts Paul Tsongas Scholarship program offering full tuition scholarships, and the Minnesota Academic Excellence program. Private Sources – These are primarily through foundations, corporations, clubs & other organizations. Private merit scholarships vary in amount from hundreds of dollars to a full ride plus extras. Additionally, private merit-based scholarships may be offered to students in a local area, in a specific state, or may be offered nationally or internationally. Some of the biggest private merit scholarships include the Stamps Scholars offered through partner colleges (currently 42 colleges), Coca-Cola Scholars, awarded to 150 students per year, and the AXA Achievement Scholarship. There are also well known large private scholarship programs that look at both financial need and merit in awarding scholarships. Some of these are included in my post, Finding and Winning Private Scholarships. Very large and well-known scholarship programs have tons of competition, making the odds of winning very low for a particular student. A student’s best bets for winning private scholarships are going to be small local scholarship programs. Usually the high school counseling office will have a list of these. Scholarships tend to be offered through local businesses, Rotary clubs, Lions clubs, Knights of Columbus, Optimists, Elks, VFW, Women’s clubs, PEO and more. In addition to the different sources for merit scholarships, there are different types of scholarships. One could argue that there are really only two types – automatic and competitive, but I like to break these down further. Competitive – These are merit scholarships that a student is considered for, either based directly on his or her college admission application or a separate scholarship application. This category varies widely in whether or not extra work is involved. The most competitive scholarships often involve scholarship days or weekends on campus with interviews and other activities as part of the competition. Anytime a scholarship indicates the student “may” be awarded or is “considered” based on a specific GPA and ACT/SAT combination, I consider this a competitive merit scholarship. National Merit/National Achievement/Hispanic Recognition Scholarships – These are scholarships awarded based on achieving the designations related to the National Merit Scholarship Qualification Test (the PSAT). The National Achievement awards are given to African American students and the Hispanic Recognition awards are given to Hispanic students who take the test. As for the core National Merit program, I will cover this in another post as there are several different sub-types of National Merit scholarships. For now, the best thing to know is that these scholarships require the student to score well on the PSAT test that is taken his or her Junior year of high school. The best National Merit scholarships will require a student to score among the top 7,500 students who take the test nationwide. Additionally, only about 1/2 of these 7,500 students receive a National Merit related scholarship. Talent – These are scholarships based primarily on a specific talent the student has rather than his or her basic academic qualifications. The most popular areas for talent scholarships are music, art, dance and theater. Other areas that sometimes award talent scholarships include journalism, creative writing, forensics, debate and speech. Talent scholarships awarded by colleges vary in amounts from a couple hundred dollars to a few that are full tuition or full rides. The majority of talent scholarships require the student to be majoring in the area of his or her talent. However, there are some talent scholarships awarded to students who have an interest in continuing their talent in college, but not majoring in it. Most talent scholarships require either an audition or submission of a portfolio. Automatic merit scholarships tend to be offered by colleges or states. Private scholarships involve some type of competition. The last two types, National Merit/National Achievement/Hispanic Recognition and talent scholarships could be automatic or competitively awarded. This varies based on the school and what they are offering. I will talk about how to find these types and sources of merit scholarships in another upcoming post.